Hello! I just wanted to quickly post to let everyone know that I’ve decided to start trying out a new format. I made my first YouTube video this weekend. 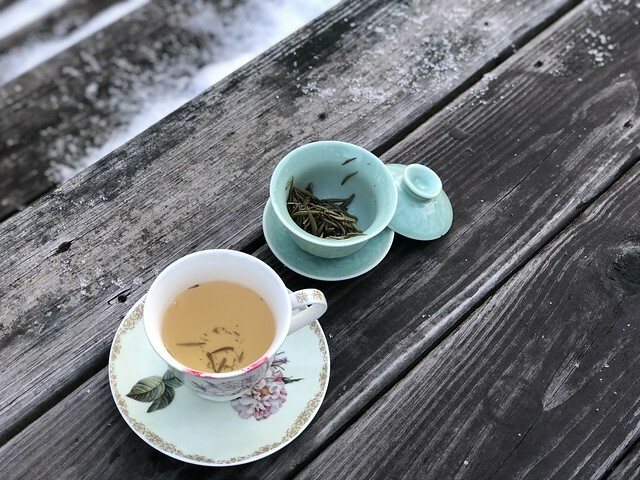 In it, I brew and taste a Silver Needle white tea at sunrise in my back yard. It was the first weekend of spring and the birds were chirping, even though it was cold and there was still some snow on the ground. Hopefully the weather gets a little warmer so I can continue sharing these tea sessions with you in person. If you’d like to watch the video, here’s the link. I hope you enjoy it! I know, they were louder than I was! Thanks for watching, though.